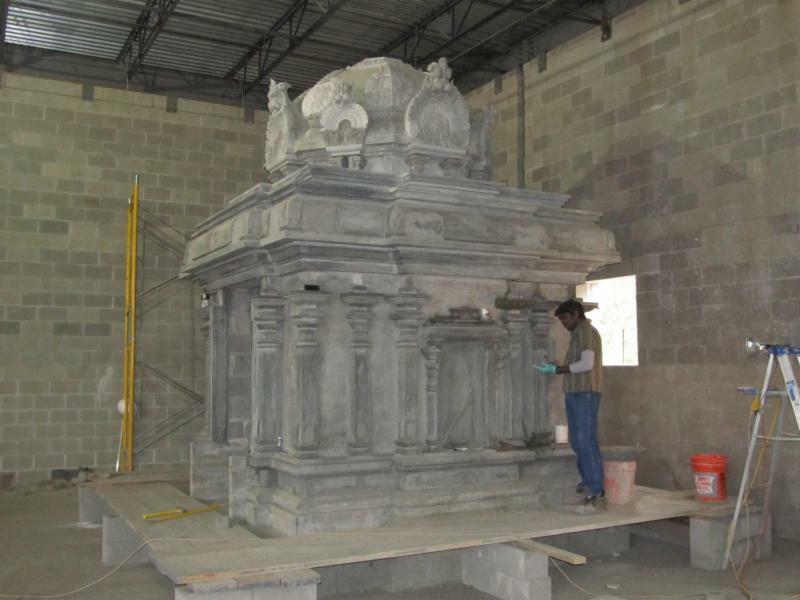 The shrines in the new Temple are taking shape beautifully under the careful hands of the ten shilpis. Visas for ten more shilpis have been approved. Five will come in the next few weeks and five a little later, when the granite Venkateswara shrine comes. These last five will reassemble the hand carved granite shrine over several months.